A few weeks ago I was introduced to a jewelry line called Love is the Key. I instantly fell in love. (no pun intended) Not only are their designs chic and fun but the message they have behind their product is not something you typically find these days. 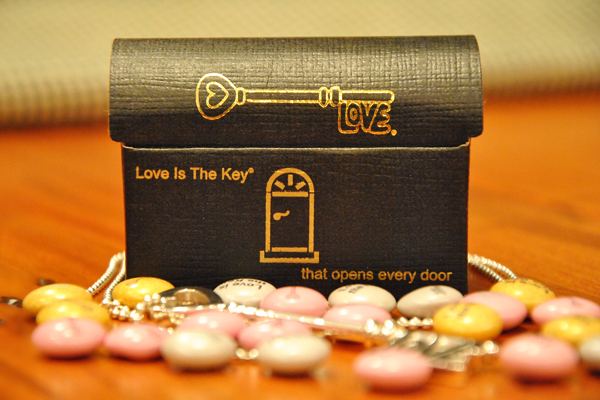 Our Story: Love is the Key® started in 1994 with a simple idea: that Love is the Key® would open all the doors in life. This idea inspired designer Andy Cain to create the first Love is the Key® pendant so that we could all be reminded of this powerful message as we wear it every day. 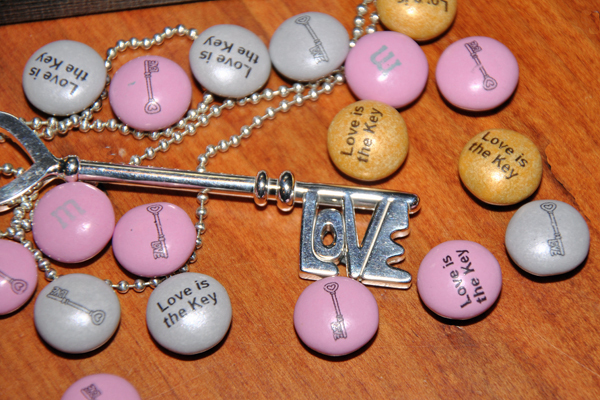 Whether that love is family, friends, faith, life, happiness, or success, the Love is the Key® jewelry is designed to empower, support, and guide us to a loving approach to "put a little love in everything that you do." 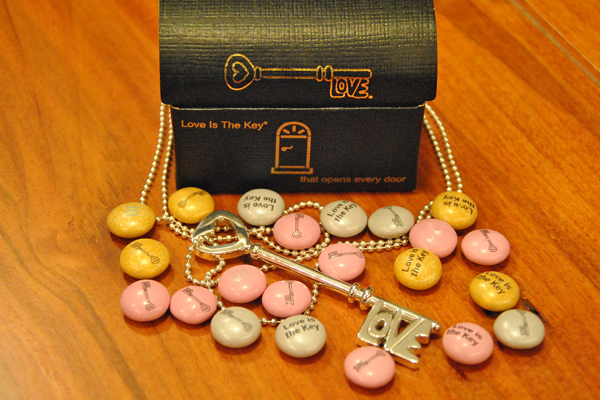 Do you not love the Love is the Key pendant? I think the design is so unique and their box is too adorable! I want to thank Love is the Key for offering a discount code to my readers! Take a look around Love is the Key site (HERE) then use the code ‘BEIJOS25’ to receive 25% off your order. Also follow them on twitter for inspiration and the latest news at @theloveisthekey (or click HERE). Super cute! The message is great! I'm in love with the 1.5 inch key in yellow gold! Loves! Wow! They are so sweet. Be a great wedding gift from the groom to a bride or for a 21st bday! Thank you so much Tiffany for this lovely post! It makes us so happy to know that you find LOVE in our jewelry--that's exactly what we want it to do! Let's all go spread the LOVE this week!